Zuzana Hejnova, who is called Lula or Zuza by her friends, started in athletics when she was a pupil at the Basic school in Liberec. She was 12 years old and had an idol within her family. Her older sister, Michaela, also did athletics and competed in the Heptathlon at the 2004 Athens Olympics, finishing 26th. The talented girl, who admired her sister, competed for the athletic sports club, TJ Liaz Jablonec nad Nisou, until 2006. She continued her study while being a successful competitor at the Pedagogical High School, where she stayed for four years from 2002. In 2006, she joined USK Prague athletics club and started to attend university in Liberec, where she studied how to become an economist or a manager. However, she still did not feel this was what she wanted to do in future. Therefore, in 2008, she enrolled for the study of physiotherapy. Hejnova entered international level at the 2002 World Junior Championships, in Kingston, where she achieved the best Czech placing, 5th in the 400m Hurdles and setting her first national youth record (58.42). It was almost unbelievable given that it was only the fourth 400m Hurdles race in her life. In 2003, Hejnova represented her country in the European Cup, First Division (57.78 for 4th) then back in her age category, in Sherbrooke, Canada, she achieved her first gold, at the World Youth Championships, improving her national youth record (57.54). In the same year, the athlete of coach Dana Jandova qualified for the European Junior Championships in Tampere, Finland. There a tired Hejnova took the bronze medal in 58.30. The Olympic year of 2004 also saw the staging of the World Junior Championships in Grosseto, Italy. The Czech team took two medals – Denisa Scerbova’s gold in the women’s Long Jump and Hejnova’s silver. Hejnova ran 57.44, a Czech junior record. The next year, 2005, brought Hejnova a gold medal from the European Junior Championships in Kaunas, Lithuania. Her time, 55.89, was also a national junior record (already the third one that season), senior record and inside the qualification mark needed for the World Championships in Helsinki. However, 14 days later Alena Rucklova erased the record mark. Hejnova continued in her preparation for Helsinki but, in the cold and wind, she was unable to progress beyond the semi-finals, clocking 57.29. The hurdler, who likes skiing, snowboarding and golf, showed her versatility in athletics: at the International Combined Events match in Prague on 11-12 February, she placed fourth in a pentathlon field including top specialists with a PB of 4157 points. At the 2006 European Cup, in Prague, Hejnova regained the national record, clocking 55.83. Later that year Hejnova was eliminated in the semi-finals at the European Championships, in Göteborg (56.39). In early 2007, Hejnova again kept herself busy with Combined Events during the winter. She managed to win the Czech indoor title in Pentathlon at the beginning of February 2007, scoring 4146 points. Her sister Michaela finished second on 4014 points. At the International match in Zaragoza just two weeks earlier, she had placed 3rd with 4144 points, well ahead of her sister. The young Czech athlete, who also likes reading books, playing the piano and travelling, qualified for the 400m Hurdles at the World Championships in Osaka. The record came at the end of August, in the Osaka semi-finals. “Finally, I got the national record after waiting for it the whole season,” Hejnova wrote in her diary. 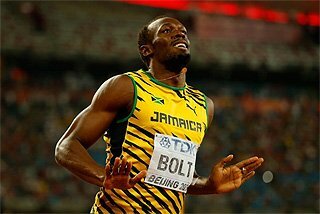 “In the first semi-final heat, despite the time of 55.04, I finished only sixth and did not qualify. But I am very happy. I improved my PB by 0.79s.” At the beginning of the season she was thinking of a time on around 55.18, so she was surprised at the achievement. 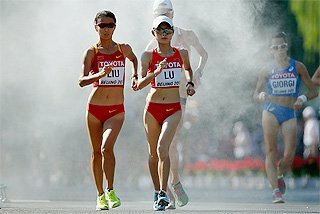 “Now I believe I am able to run sub 55 seconds,” she said. And she was right. At the beginning of 2008, Hejnova first improved her indoor PB on 400m flat to 52.82 in Prague, then she competed at the World Indoor Championships, in Valencia, clocking 53.16 in the semi-finals of the 400m and helping the Czech squad to her country’s best result at this championships, finishing 4th with the women´s 4x400m. On 12 June, at the Golden Spike meeting in Ostrava, Hejnova achieved 54.96 and qualified for the Olympics in Beijing in a national record. 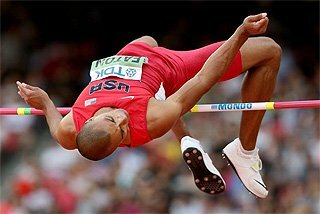 The Olympic 400m hurdles were the consecration of the then 22-year-old Czech athlete. “I really wanted to go to Beijing and during all that year I worked very hard to get the flight ticket,” she stated. Zuzana Hejnova did not disappoint the Czech team. In the final she finished seventh with 54.97, only one hundredth behind her personal best of that time. After a successful summer season, the winter 2008-2009 brought some health problems. Zuzana had to handle a tonsils operation, which ended with some other health complications. After a training camp in South Africa, she returned to the freezing Czech weather and turned sick again for a month. For all these reasons, Hejnova did not have good indoor season 2009. 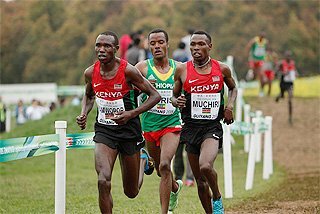 The fruits of hard spring preparation and the first national record improvement in 2009 came on 7 July at the IAAF GP in Lausanne. The time, 54.94, was 0.02s better than the one achieved in 2008 in Ostrava. However, the next national record did not wait long to come. Only three weeks after the Swiss meeting, Hejnova started at the Super Grand Prix meeting in Monaco. The new Czech record mark was changed into 54.90, despite the fact that Hejnova took “only” seventh place. “I think that if I had better lane, not the first one, I would have run even faster,” the national record breaker was quoted at the meeting. The paradox was that the multiple Czech record holder did not have any national title from her event. “I will run 400 meters flat at the national championships. 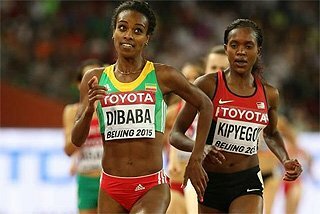 It is less tiring for me and there is better competition on this event,” said the 400m hurdles specialist. Despite the fact that Zuzana broke the 55 seconds barrier in the semifinals of the World Championships in Berlin for the third time in the season, she did not make it into the final. She was fourth in her semi, 13 hundredths of a second from a final spot. "What can I say? I'm very disappointed. I could have made it. There was no need to run too fast. If I am aware of mistakes? Not really. I ran well, smoothly, but slowly. I spoiled it for myself, it was a huge chance," she regretted. 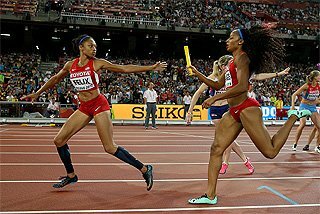 The year 2010 started with a successful return of the 400m relay at the World Indoor Championships, in Doha. The Czech quartet (Rosolova, Bartonickova, Bergrova a Hejnova) took fourth place again in 3:30.05, but because of doping in the Jamaican medal team, they were later awarded the bronze. For Zuzana it was like a substitute for the individual race, where she was the first behind the qualification line in the heats with the time of 53.56 and overall finished 13th. Her first big chance for the senior (individual) medal was close, at the European Championships in Barcelona, where she ended just off the podium, in fourth place. 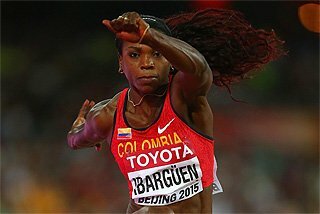 Although she ran well and confirmed that times below 55 seconds are not a problem for her anymore, even clocking the second-fastest time in her career, 54.30 - in the season she had improved to 54.13 NR already - was not enough for the medal; she lost it by 12 hundredths. "I've run out of power at the end. I'm sorry," she said after the race. 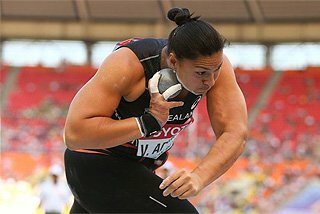 2010 however was a positive year for Hejnova, who had her first strong season at international level and took the second place in the Diamond League Standings at her event. The same result came in the national polls for Athlete of the year 2010. During winter, Zuzana used to choose the 400 meters flat as her additional event. In 2011, however, she seriously devoted her efforts to pentathlon. After her success in the Four Nations match in Reims, where she was second only to French specialist Antoinette Nana Djimou with 4406 points, she decided to participate in the European Indoor Championships in the pentathlon. In the first three events she set personal bests, but in long jump she had two faults and only in the third attempt recorded 5.73. The final seventh place, with the total of 4453 points, meant a new PB again. "I will not specialise in pentathlon and I admire the girls who do this event. I will again continue in my hurdles," she laughed in the mixed zone. In her first start outdoors in 2011, on 4 June, the athlete coached at the time by Martina Blazkova attacked her own national record (from 2010) running 54.26, just 13 hundredths slower, at the Diamond League meeting in Eugene, finishing in fourth place. With this time she also easily qualified for the World Championships in Daegu, Korea. 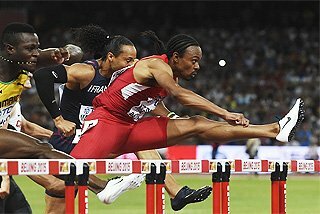 The excellent performance from Eugene was followed by victory at 400m hurdles at the next Diamond League meeting in Oslo, on 9 June. Zuzana clocked 54.38 and four days later, in Prague, she added the next victory, achieving 54.44 at the Odlozil memorial. Zuzana Hejnova then showed one of the best performances within the Czech team at the European Team Championships in Stockholm on 18 June, breaking the national record with 53.87. "Actually I did not expect that today it could be so good. I felt tired and sleepy. 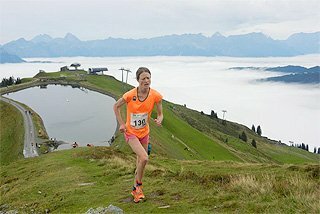 Natalya Antyukh started quickly, but I was faster in the finish," said a happy Hejnova. Her previous record was improved by 26 hundredths. "Now I'd like to stabilise my performance at around 54 seconds, and if it should even fall down to 53.5, it would be very good," she said. Coming to Daegu as a number two in the world rankings at that time (behind Jamaican Kaliese Spencer, 52.79), Hejnova hoped for a great result in Daegu. Zuzana managed to get to the final but was disappointed about the seventh place. 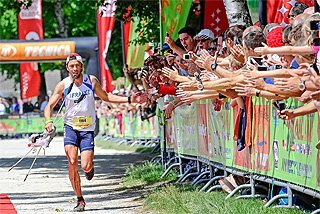 “Unfortunately, I was very tired in the last metres and could not speed up. 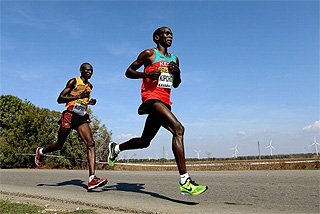 To be sixth or seventh – it is not a big difference,” the 24-year-old described after running 54.23 in the World Championships final. She repeated the same placement in the relays after the team of Rosolová, Bergrová, Bartoničková and Hejnová took seventh place at 4x400m in 3:26.57. Zuzana, whose biggest sport hero is Allison Felix, decided to skip indoor competitions in 2012 to focus only on Olympic Games. Despite this fact, she took part in some combined event competitions and won the national indoor title at 400 m.
In her first outdoor competition, the Ostrava Golden Spike meeting on 25 May, Zuzana fulfilled the Olympic standard to start at her second Olympic Games by running 55.28. The next success came on 11 June at the Odlozil Memorial in Prague where she ran a new meet record, 54.43. “I am sure now I am on the right way towards Olympics,” stated the 25-year-old athlete based in Prague. But the big disappointment came at the European Championships, in Helsinki, where Hejnova had golden ambitions. She missed the bronze medal by 14 hundredths and the silver went to her team mate, newborn hurdler, Denisa Rosolova. “It seems I forgot how to run. I do not know what was going on. I trained well; I feel well and still cannot perform well at the competition. I hope I can break this spell in London,” she cried. A few days later, she made her day by winning the next big bronze in 4x400 relay with her teammates, all from the training group of Martina Blazkova - Zuzana Bergrova, Jitka Bartoničkova and Denisa Rosolova. “I did not believe in a medal, so this is just awesome,” Zuzana added. The fourth place from Helsinki was forgotten once Zuzana appeared at the Diamond League meet in Monaco on 20 July, her last outing before leaving for the London Olympics. She triumphed in a season best of 54.12 and improved her self-confidence. “I did not manage it well in Helsinki. Mentally, I feel ready now and first of all, I want to enjoy the Olympic Games in London and I am sure I can surprise everyone,” Zuzana confessed. She also improved her own national record twice this year. The first time, at the Diamond League in Paris, she improved to 53.23 and then in London on 26 June to 53.07. In the IAAF Diamond League 2013 overall standings she sits on the first place without any opponent anymore. “Because of athletics, I maybe lost some contacts with my friends but on the other hand, sport gives me a good feeling about myself, it teaches me to be systematic and increases my self-confidence. And because I like travelling, I am always looking forward to every foreign trip. I wish I would visit Malaysia once more and I would like to know Japan and China better,” the Czech record holder confessed. 2002: 58.42; 2003: 57.54 NYR; 2004: 57.44; 2005: 55.89 NJR; 2006: 55.83 NR; 2007: 55.04 NR; 2008: 54.96 NR, 2009: 54.90 NR; 2010: 54.13 NR; 2011: 53.29 NR; 2012: 54.12, 2013: 53,07 NR. 13 NOV 2013 Who’ll be crowned queen of athletics?